The Plough Inn is a fantastic intimate village Inn. 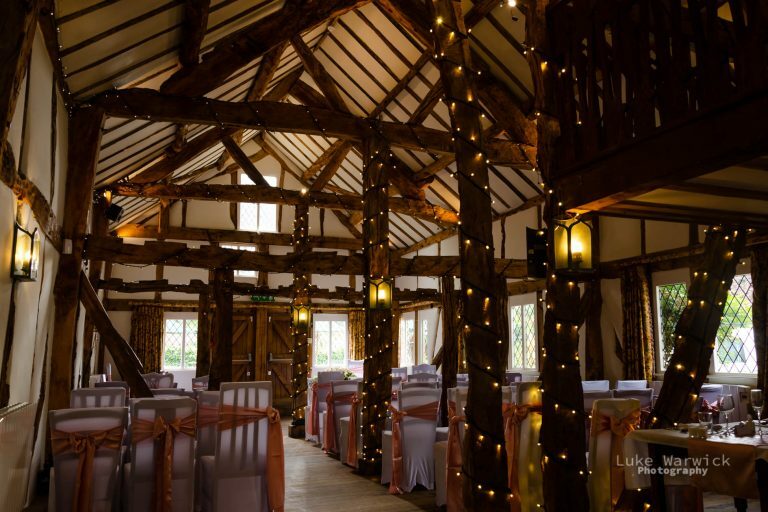 The Barn is a weave of ancient timbers, worn smooth by years of contact and wrapped in glowing fairy lights. It feels warm and intimate. The windows of the barn are quite high up and can provide for some lovely pools of light. Top tip: with all the fairy lights and high ceilings, it feels a lot brighter in here than it actually is. So please watch your settings and check your images regularly. I would really recommend using fast prime lenses here rather than a slower zoom. There are plenty of opportunities for beautiful backgrounds for group shots and couple portraits. The large dark barn doors give a great natural frame for your group images and the venue are great at keeping the spaces in front free for photos. The classic red telephone booth (now a defibrillator box) at the front give you a fun option for some intimate couples moments. 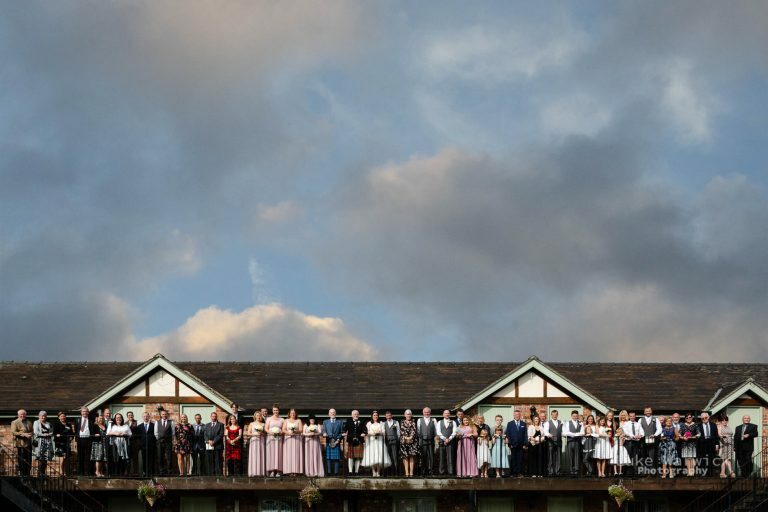 Top tip: the balcony of the stables is long enough to make an interesting and different “everybody” image. I find its best to make the bottom of the balcony the floor of the image to cut out any cars parked below. This adds a lot of sky to your image so it’s definitely worth bracketing your exposure to avoid blown out highlights and retain your sky detail. 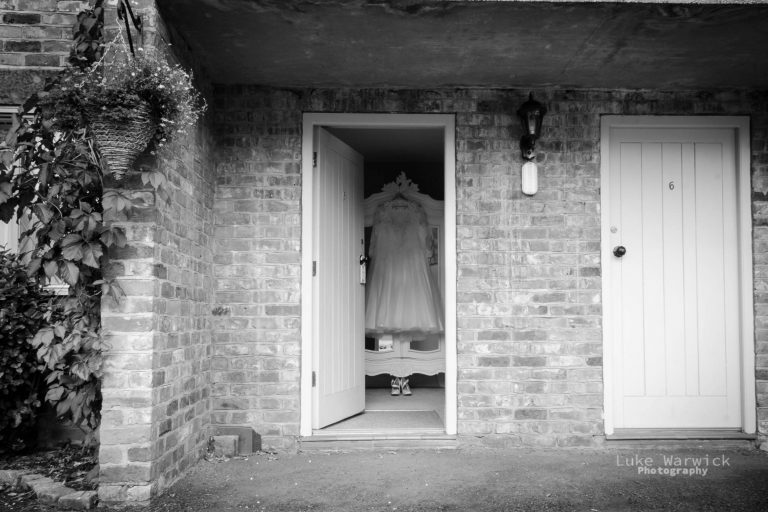 The Bridal Suite is beautifully decorated and a lovely spot for some great ” setting the scene images”. The bar it’s still very much like an old school inn and is a great place to while away some time with your friends. The beer garden is a large sun trap, exactly what you would hope for on a sunny Saturday afternoon. Top tip: if you leave the venue, and turn right as if you are going to Congleton and walk for all of 200 metres there is a lovely play park with an ancient oak standing alone in a big field. It’s a great spot for some off camera flash images in the late evening sunlight. For such a beautiful, historic venue the prices are really competitive and the packages pretty comprehensive. The staff are fantastic, organised and welcoming. The food is great! They received Tripadvisor’s certificate of excellence in 2016. I’ve been with my family too and my girls loved it. There is lots of onsite parking. The Plough Inn is less than 10 minutes to Congleton and thanks to the new road, 30 minutes to Hazel Grove which makes it very accessible. 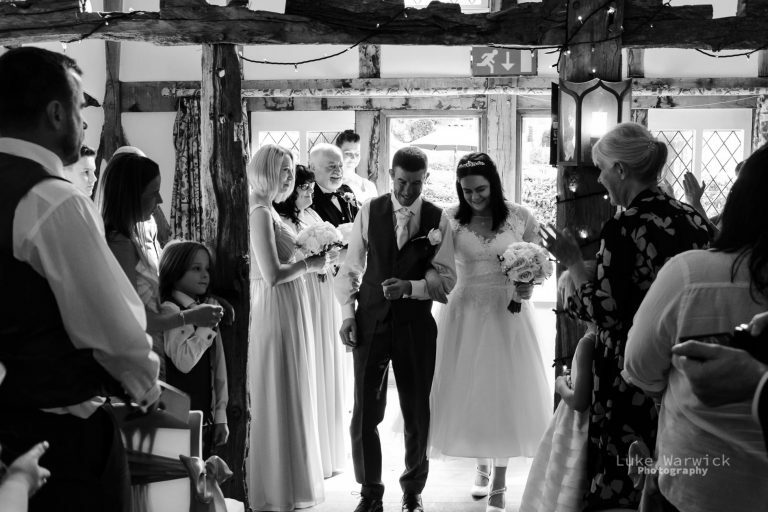 The Plough Inn is a quaint, intimate venue set in a beautiful rural village. 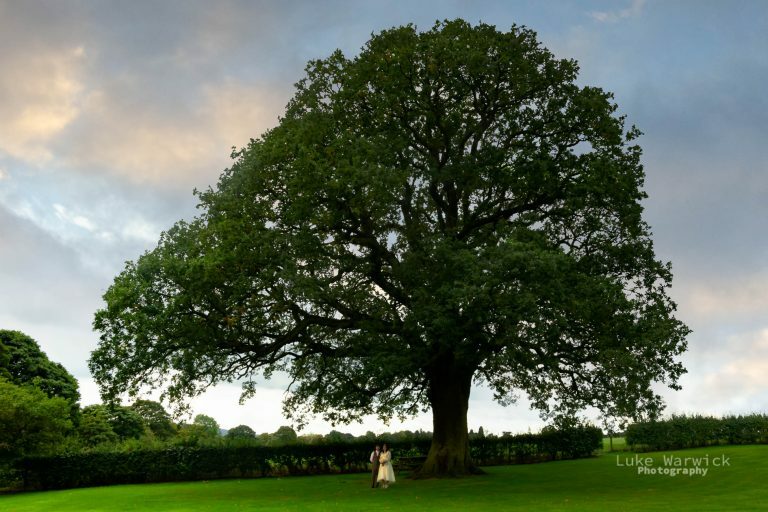 The food is great, the beer tastes good and there are plenty of beautiful spots that make for amazing backdrops for your wedding images.